We would like to realize world peace by providing peace education curriculum to young people in former battlefields. 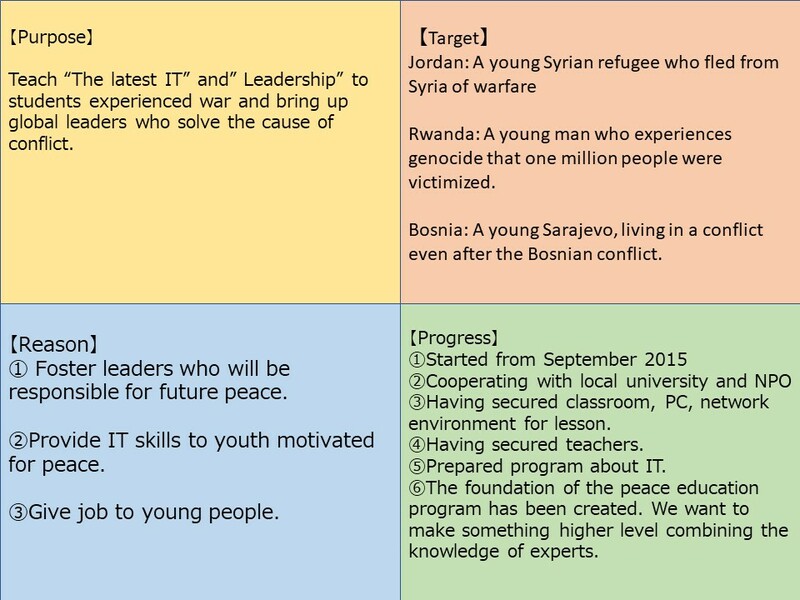 In the activities of Edtech Global, I cooperated with Jordan (people with refugees in Syria) and Rwanda. 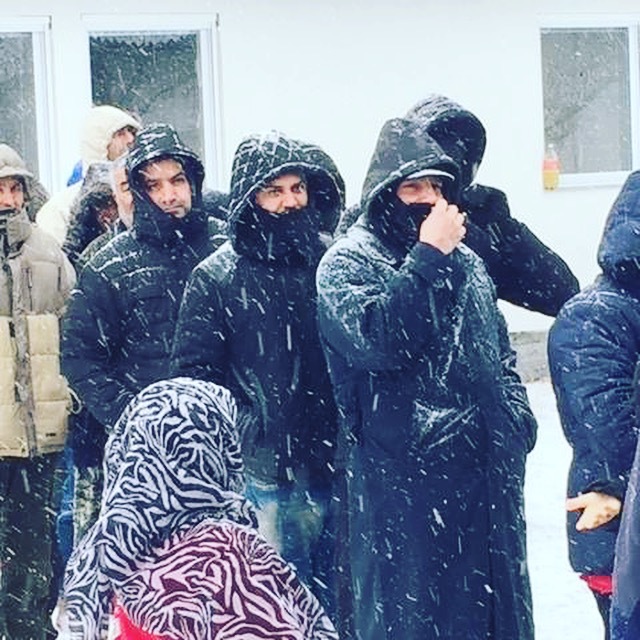 A total of 8 BTC donations gathered from all over the world. I asked from the person who served as a lecturer of the project, but I asked the students pitch on the last day of the class and made a pitch with the title "What kind of project do you do with this technology?" I asked them, "My acquaintance is buying and selling organs, I'd like to think that I can not prevent it from blocking with block chains." "Thanks to those who contributed, I have received various opinion such as ICO etc. If we have the opportunity to fund them ourselves, education of the next generation will self-sustain as ourselves. " 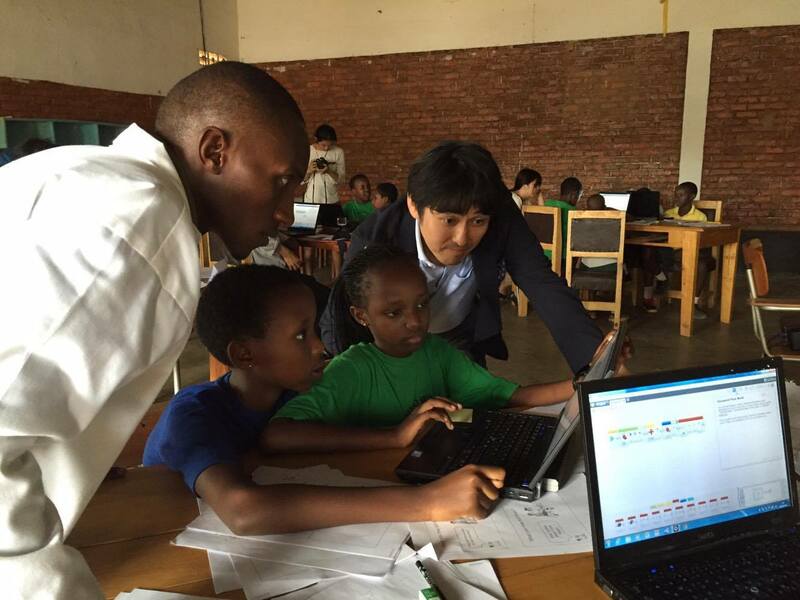 I am also indirect, but by preparing a platform called KIZUNA, I am honored that you got donations from around the world and helped with education. 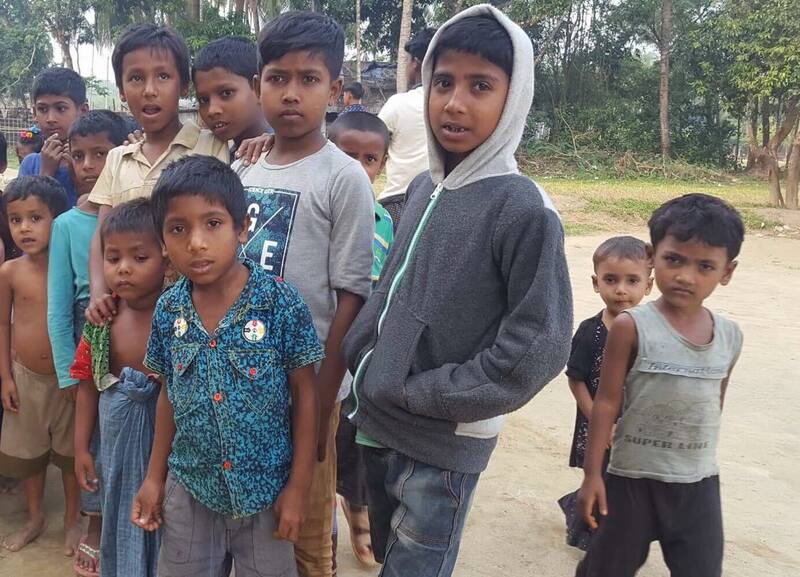 I think that we can broaden the range of activities to Bosnia, Bangladesh etc, so we are eager to support you this time as well. 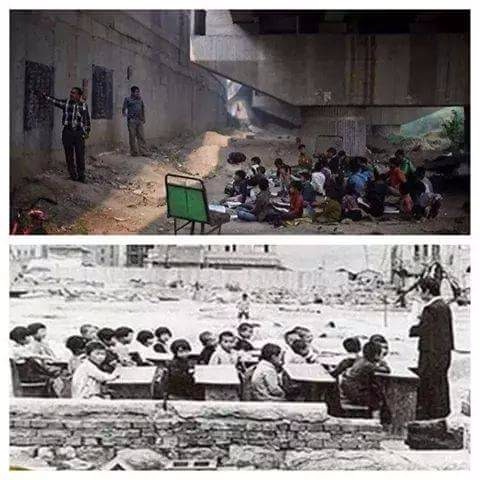 In Syria, the bombing continues even today, in the "classroom" escaping bullets and temporarily placed in the cave, there is a poster that Japanese are learning under the blue sky after the war, and it’s written that "we can revive ourselves too". Because we experienced postwar reconstruction, we have many things that we can do for world peace. Please support us! 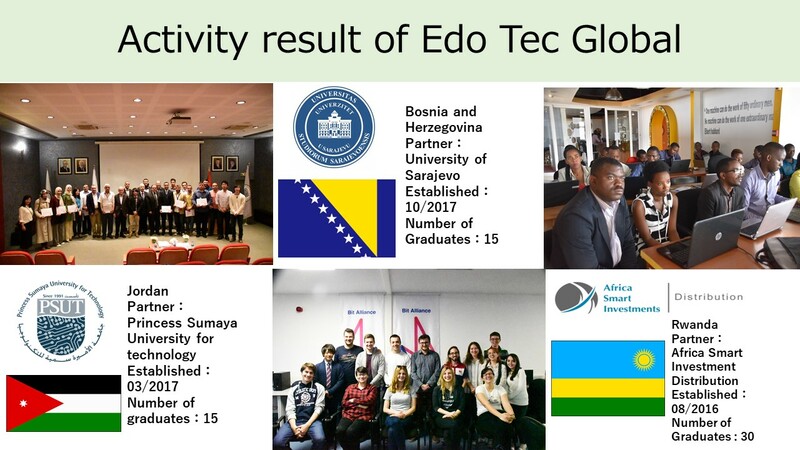 Edo Tec Global was formed by volunteers in September 2015 and has been working educational activities in Rwanda, Jordan and Bosnia Herzegovina. 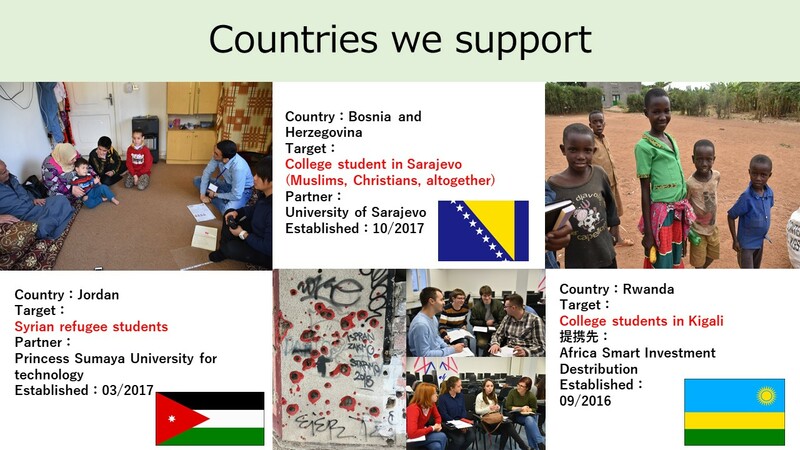 * For details on the reasons for the establishment of groups, the activities of each country, the overall curriculum, please see the activity report. I noticed by interacting with more than 60 students in the activities of two years. 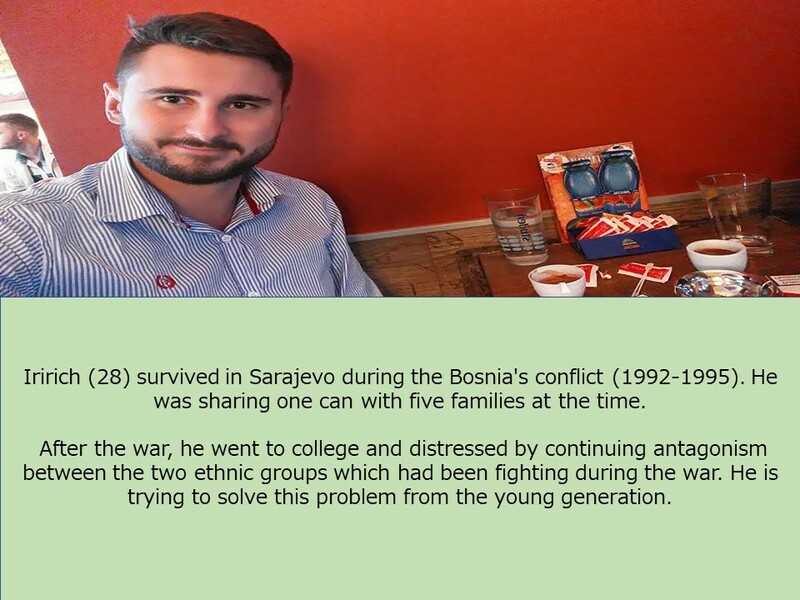 Every student in the former battlefields have a strong desire to solve social problems as much as possible so as not to repeat misery. 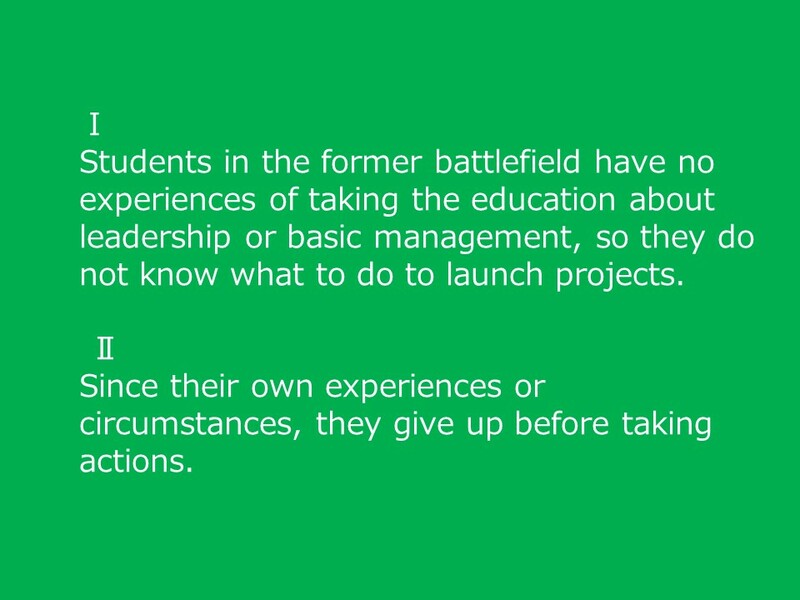 However, despite they have such thought, in reality, there were no students who "actually launch social projects". We discussed with local universities many times and defined the reason for the following. 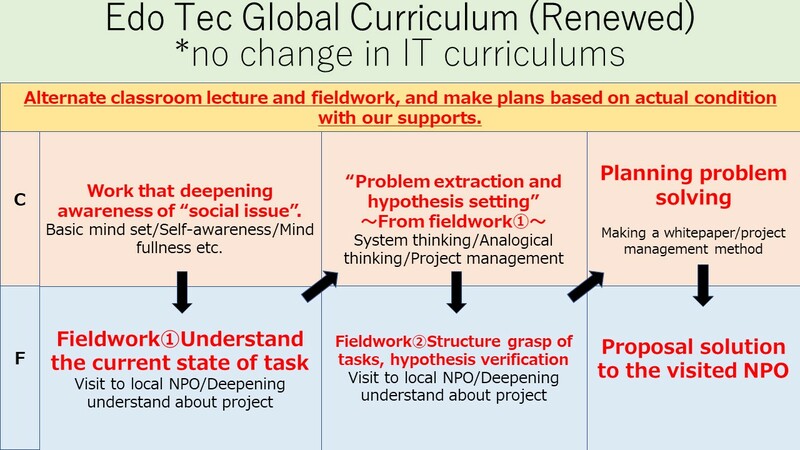 We decided to renovate the curriculum, in order to overcome these reasons. So far, we have created it with volunteers, but start to prepare a program incorporating the latest knowledge, under the supervision of experts. 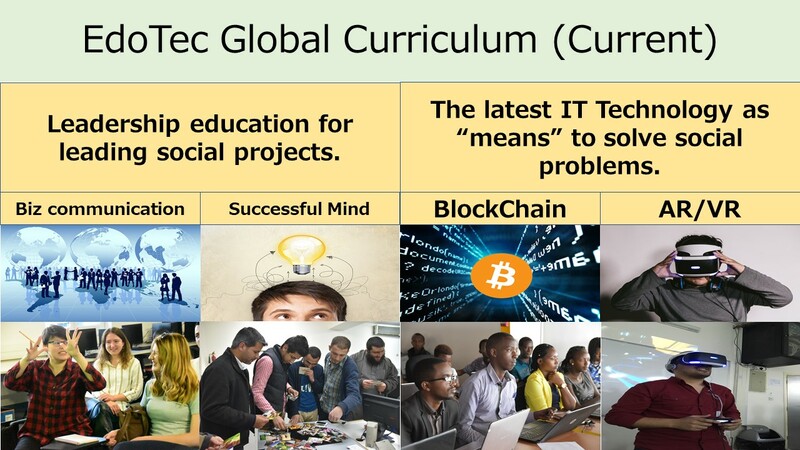 (Current curriculum) The latest IT technology education as “means” to solve social problems. Leadership education for leading social projects. Skills for project's progress as milestone preparation and fund management, alternating the lecture and field work under the accompaniment of Edo Tec Global. Also, by visiting local NPOs and meeting the role models acting to solve social problems, we encourage students to become leaders and support the launch their project. We have operated all activities in voluntarily to bring education to local students free of charge so far. However, it costs minimal expenses such as travel fee and printing fee, in order to operate the school continuously and renew the curriculum. 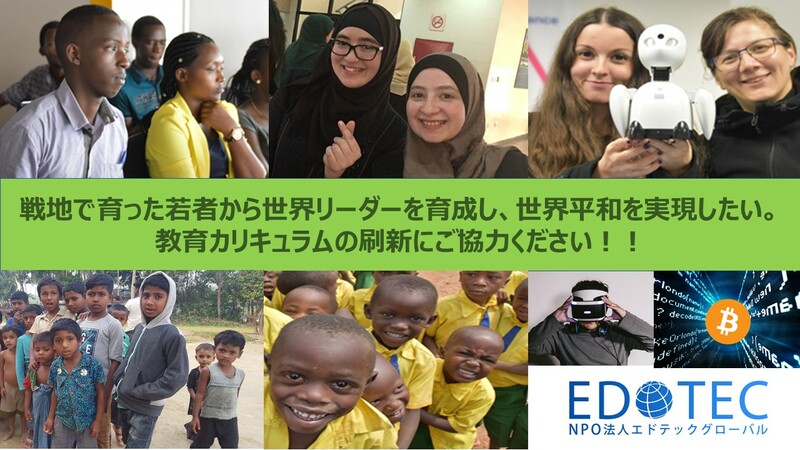 Could you give your warm support so that we can provide education free of charge to students in former battlefields who are engaged in studying aiming a role-modeling "Japan has recovered from the wilderness after the war ". Thank you for your support! ~ I would like to develop human resources who can work without losing the existing system~. Nice to meet you. I am Sakuichi Konno, Representative Director of Edo Tec Global. There are two original reasons I started this project. I was born in Tokyo, raised in Hokkaido (highly developed area in the field of farming), and had my high school life in Iwate prefecture ( poor area in northern Japan). By this younghood experience, I faced the reality of the fact that “an individual will never be happy if the world is not going through its happiness”. Through this experience, I started to think to contribute to make the world without war and poverty. 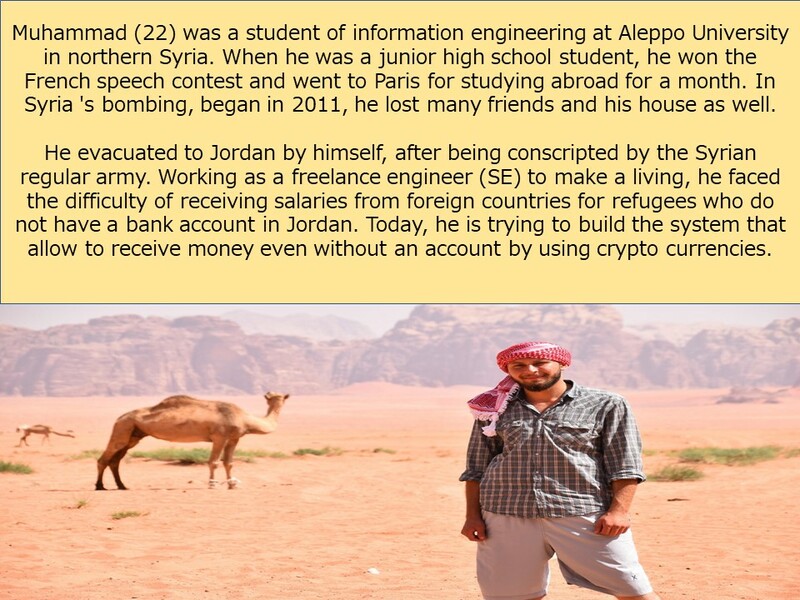 However, in spite of developing various technologies and enriching the world, the disparity in the world expand and the exploitation doesn't end and the war never cease. I think this is because "People in developed countries who do not have to worry about " war "and" poverty” are controlling the world." 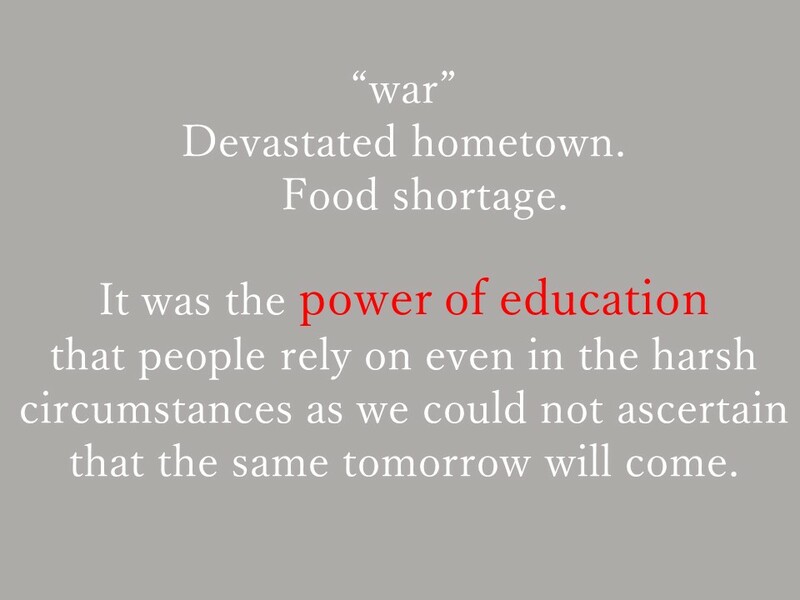 Then, what if those who are in trouble with war and poverty can become global leaders? The world may change a little. 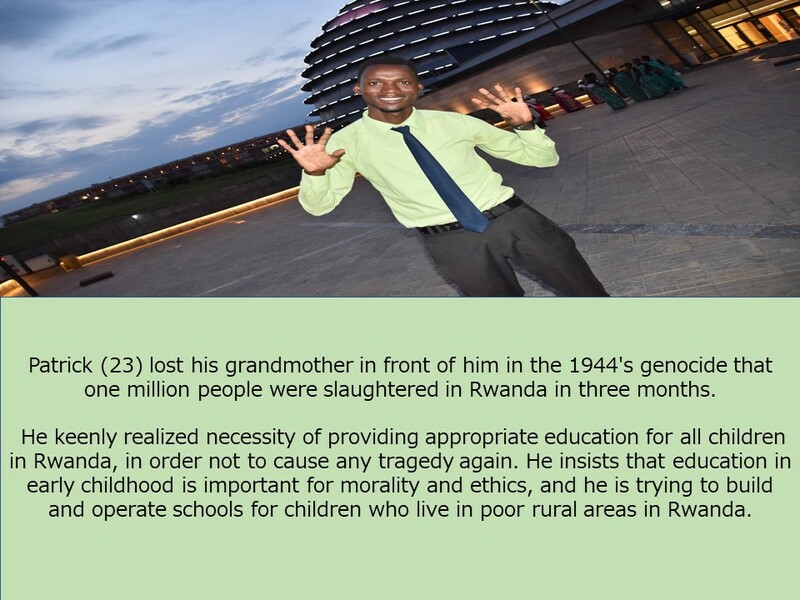 This is the reason for establishing Edo Tec Global School "to bring up world leaders from youth with experiences of war and poverty". Young people in former battlefield are working hard every day, aiming for Japan which has become a developing country by rebuilding after the war. There is always something we can do! I wish for your support so much.